Let our certified macros coach do the work for you and guide you through the process. “I began putting the macro plan you gave me into play. I cannot explain how hopeless I was when I sought you out and how ecstatic I am after losing 15 lbs., feeling and looking better. Includes all downloads of our Macro Solution books and bonuses. You can email your coach at anytime with questions or difficulties you are having. A comprehensive plan tailored to your individual stats, preferences, and lifestyle. Access to over 200 customized meal plans. Weekly formal check-ins with your coach. Biweekly progress assessments and adjustments. Tell us about yourself Answer a few questions about your goals, stats and lifestyle. Meet the coach Your macros coach will use that infomation to calculate your TDEE and macros plus write up a personalized macros coaching plan for you follow. Start the transformation Your coach will be there to help you through your difficulties, answer questions, support and encourage, help you evaluate your progress, and make changes to your plan as needed for continued progress. Perfect for those that just need expert calculations but not the other coaching services. 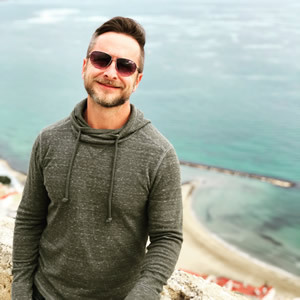 Our lead macros coach, Ted Kallmyer, is an ISSA certified Specialist in Fitness Nutrition and has helped people reach their diet and fitness goals for over 6 years. He uses the macros system himself and is passionate about helping people get healthier and achieve their weight loss and muscle building goals. What’s a Personal Coaching Plan? In addition to your macros, the plan includes individualized exercise recommendations, measuring progress advice, and specific recommendations tailored to your unique stats and lifestyle. Our calculator is a great tool for macros, but after working with hundreds of clients we’ve discovered to get the best results – we need to tweak it. Your body composition, and unique exercise info will lead to more accurate macros. What are free macro adjustments? As your goals change – so do your macros. Even after your coaching is finished you can email your macros coach to recalculate your macros for you free of charge based on your new goals (Basic and Advanced coaching only). Our macros coach is a certified Specialist in Fitness Nutrition through the International Sports Sciences Association (ISSA) as well as has a degree in biology and a master’s degree in education. He also has over six years of experience teaching people how to achieve their goals by counting macros. What exactly is 24/7 email coaching? You can email your coach 24/7 with questions or for help. With Advanced Macros Coaching your coach will follow up with you each and every week. The accountability can make all the difference. Can you do coaching for vegans? Absolutely. We’ve had many vegetarian and vegan clients. After you fill out the questionnaire, your coach will get back to you by the middle of the next business day. Your coaching will begin straight away. If you find the program is not for you, we will refund the cost of the Macro Solution eBooks. We ask you submit a macro tracking log to ensure you’ve been following the process. Your coach’s time and services are non-refundable. See full Terms here.